The AEA Convention Mobile App is available to assist convention attendees on the go, sponsored by EDMO Distributors. Windows Phone and Blackberry users can access the same information via our mobile site at m.guidebook.com/6165/. AEA Show Specials, offering dealers deep discounts for convention attendees only. "download guides" section of the guidebook application. 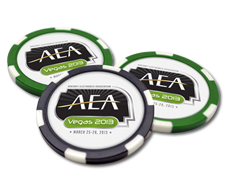 Look for "AEA 2013 Convention" or search for aea.